The little girl, named Milan was two years old when she fell ill with cancer and after was attacked by a deadly virus. Her mother, a Muslim refugee in Damascus, turned to St. Charbel and the child healed. 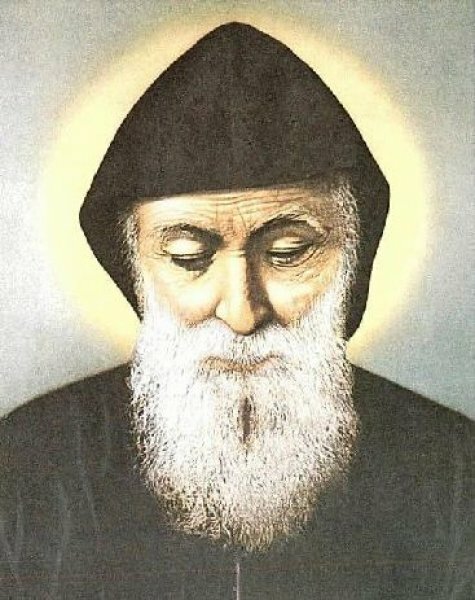 Beirut (AsiaNews) - A three year old girl, Milan, from a Sunni family in Syria, was healed thanks to the intervention of St. Charbel, the Lebanese hermit saint, canonized in 1977 by Pope Paul VI. The family is a family of refugees from Damascus, who arrived in Lebanon after the civil war which has been destroying the country more than four years. The girl had a tumor and during treatment was also attacked by a virus very serious. Her mother’s prayer to St. Charbel healed her daughter and now little Milan, seems to have a very special relationship with "Father Charbel." The episode occurred two months ago and is documented by the reports of OTV (Orange TV), in Arabic. Below we publish the literal translation. Some Christian devotions have spread in many parts of the Muslim world (such as devotion to Mary, Our Lady, and the desire to be freed from the devil. See: "Millions of Muslims devoted to Our Lady and eager for exorcism”. - (Mother) "Her type of cancer is very difficult, because her tumor, disappears and reappears regularly and each time it returns, it grows stronger threatening to take her away from us. This is due to the fact that following the transplant she was hit by a virus called CNP, a highly dangerous virus, as deadly as her illness. She took really powerful drugs but the disease didn’t go away. Indeed, over time, it worsened dramatically. So, we kind of reached a decision for her own peace of mind to take her out of hospital, placing ourselves in God's hands, waiting to see what would happen". Speaker: A lengthy Golgotha ​​for little Milan who suffered so much pain, but the faith of her mother saved her. (Soundtrack: The song of Majida El Rumi dedicated to St Charbel: "O Charbel Charbel help us oh help us, O Charbel protect us, O Charbel protect all of us"
- (Mother): I brought her here to Zahle [Christian village in the Bekaa Valley that houses a shrine of St. Charbel- ed] on a pilgrimage. The next day, Tuesday, we went to the doctor for another analysis of the virus, and the doctor told me that the test result was negative, all of a sudden there was no trace of the virus. A miracle had eradicated the virus from her body. " (Soundtrack: The song of Majida El Rumi dedicated to St Charbel: "You whose gifts give glory to Lebanon!" Speaker: Charbel took the hand of this Sunni Muslim family to defeat, through his intercession, the disease of their small child, their little girl, through his intercession. - (Mother): "It was 8 pm, and on the way back home, she had fallen asleep. When Milan woke up she said 'Today, Father Charbel came to see me' "
- (Milan): "Father Charbel told me, I prayed to God to heal you! He gave me water and it was enough "
(Soundtrack: The song of Majida El Rumi dedicated to St. Charbel, "Leave me like an Oak kneeling in front of the vine that is pressed but never destroyed". Speaker: The relationship that unites the three year old girl with St. Charbel is an extraordinary relationship, a friend in times of sadness, her refuge to feel less pain, his church is the only place where she feels safe. - The Mother: "Whenever she feels pain, she goes and takes the holy card of St. Charbel, cries, then starts to talk to him, but I do not know what she says or understand the nature of this relationship that unites them. These things no one knows except the two of them. " (Soundtrack: The song of Majida El Rumi dedicated to St Charbel: "O Charbel Protect, Protect us!" Little Milan: "I love you very much St. Charbel!"